Another busy day. Hospital appointment - all fine. Hair do - even better. 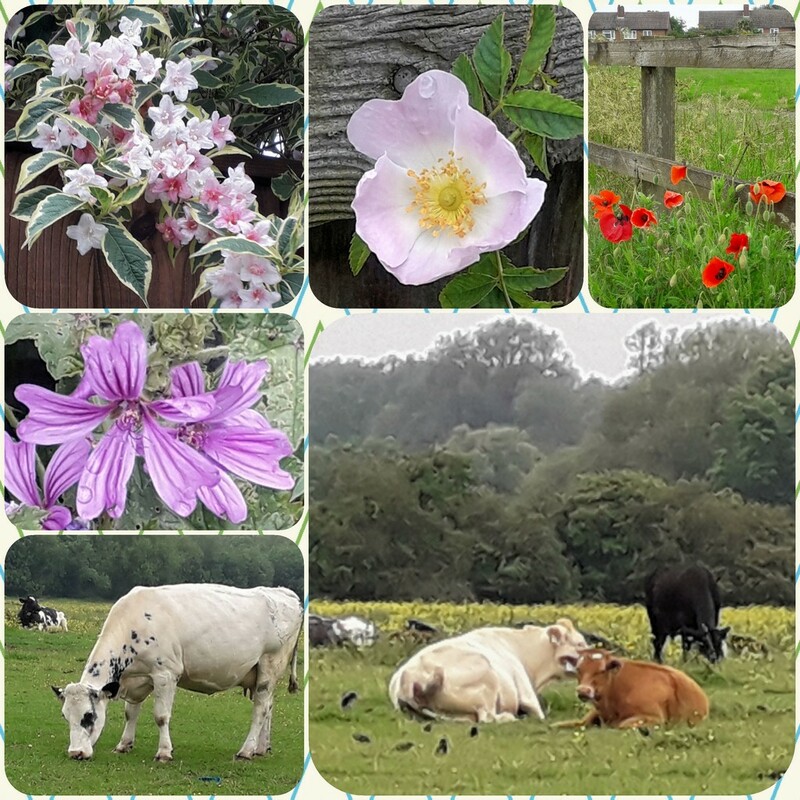 But I missed the bus home so here is a collage from my walk back home across tbe common .... again! What a lovely finish to a good day - I mean the all fine at the hospital! Shame you missed your bus but this collage has made it - for me at least. Lovely images. Glad to read that your hospital appointment was okay. @mandygravil @gijsje thanks for your comments and concerns. Missing the bus was a bonus ..... I could take these pictures! What a great way to chronicle your missed bus walk. Well worth the miss I would say. Love this! Fav. Lovely collage and a beautiful collection of pictures. How beautiful to have all this to see on a walk home! Love it! Sounds like a good day apart from missing the bus but what lovely views you saw. @dizzyd @megpicatilly @hermann thanks. Yes I was lucky to miss the bus. Exercise too!! Lovely finds and captures on your walk home good it wasn't raining . Sorry you missed the bus, but we reaped the benefits! Pretty collage! Lovely collage. Glad the hospital appointment was okay. I have to go to Sydney tomorrow for a hospital appointment. It is going to be a long day 450 km there and back in one day. Great views from your walk. Makes a nice collage. @olivetreeann @sunshinepix @wendyfrost @milaniet Thank you all for your lovely comments. Missing the bus was good after all. what a beautiful collage! Fav!